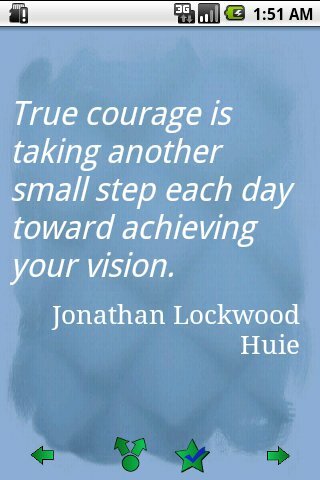 These quotes from the world’s greatest leaders and thinkers will motivate and inspire you. 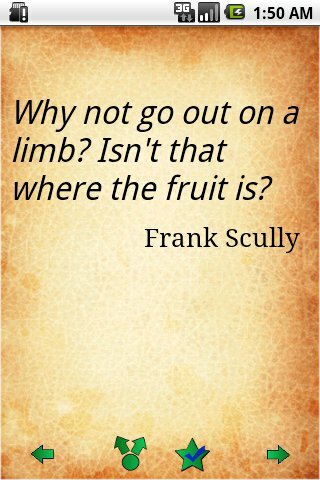 This application is intended to motivate you to achieve your goals. 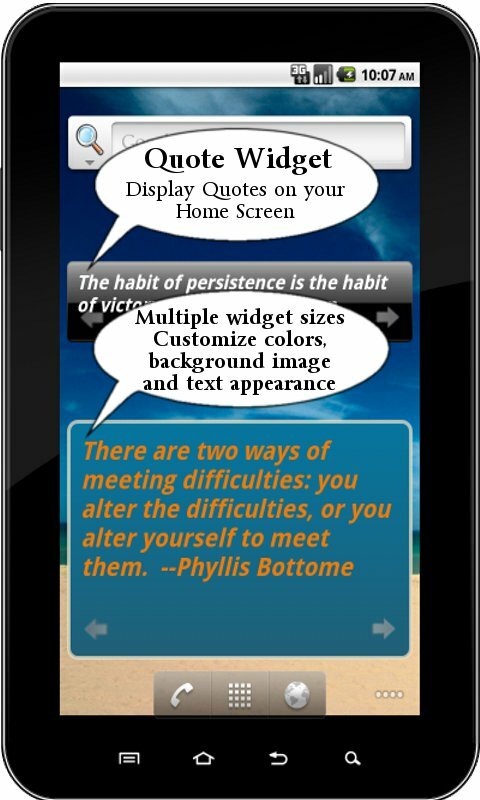 Includes quotes about life, happiness, attitude, opportunities, dreams, relationships, leadership, business, career, money, achievement, success, etc.. - Large number of quotes - Save your favorite quotes for later viewing - Share via Facebook, Twitter, SMS, email and all your social apps - Widgets allow you to display quotes on your homescreen. - Store app on SD card - Personalize - Fully control the look of your application. 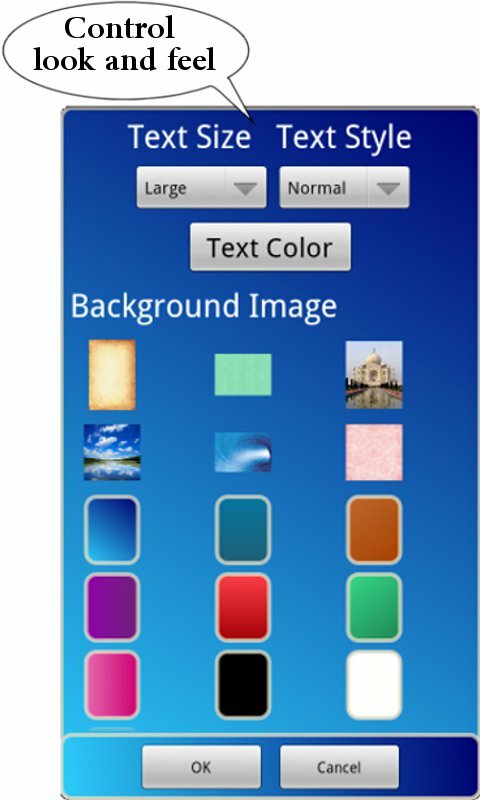 Customize background image, font colors, size and appearance, and even control transparency. 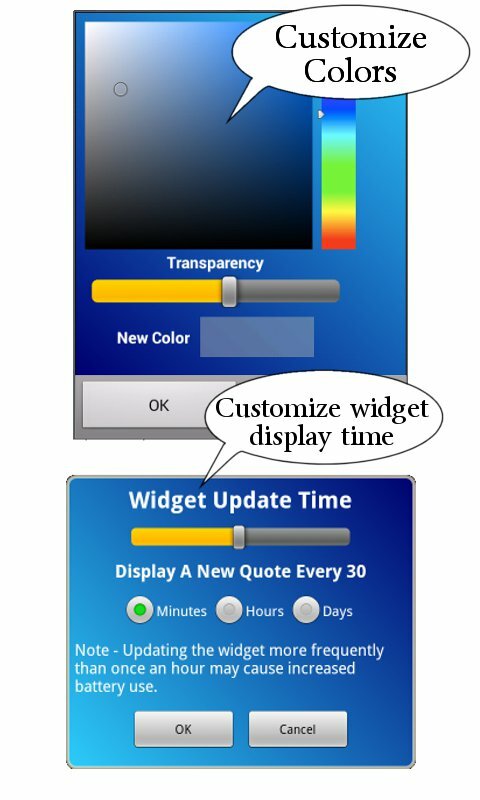 - Set how often quotes are displayed on widgets (e.g., hourly, daily, etc.). Contact me directly from within application with your great ideas to make application better, or with any gripes!